….it all manages to pull you in. 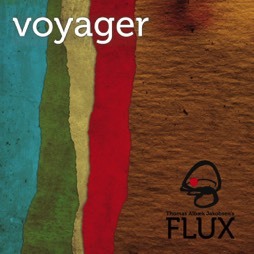 The pieces on Voyager convey a wide range of emotions while also focusing on the strong connection between these five musicians. It's all of a piece, yet, in keeping with the group's name, completely in flux. The ambitious approach to the music succeeds in full with this new album and there’re even times when I must completely surrender in excitement.……..
Voyager is recommendable and it is one of those albums that grows every time you’re listening to it. It is between the clear rhythmic patterns and clear melody of "Spirit Soul" and the searching soundscape of "Long Johns" that Voyager finds its own expression based on accessible immediacy and meditative beauty. … in fact it is the journey and impetus, the nooks and corners, the open spaces and it’s improvisatory potential, that’s explored and staged by the quintet. The music on this album is the outcome of our musical journey and an open invitation for the listener to travel through various soundscapes and form their own images and associations. The ambitious approach to the music succeeds in full with this new album and there’re even times when I must completely surrender in excitement. This album is in many ways a good take on contemporary jazz with a strong personal interplay between the five musicians. My mission in music is to mix a melodic approach with an unknown quantity that challenges the listener’s senses. Jakobsen's well-crafted compositions have a strong melodic approach but with enough suggestive segments that invite the Flux members to expand and to draw these compositions to more open, poetic ends……..
"A New Beginning" and "Sunday Morning in Late Winter" have dramatic narratives, its tension is built slowly and both shift between energetic, playful parts to darker, enigmatic segments……. 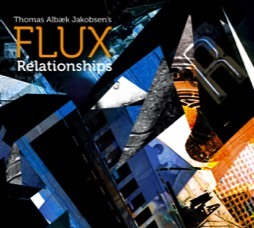 Join the FLUX mailing list….